Darren Aronofsky’s take on the timeless Biblical tale of Noah is a very strange beast – one that, unlike the pairs of animals that the Ark carries, cannot be matched up with another of its kind. It is truly a difficult task to summarise what it means to this reviewer in such a short amount of writing space, because there are just as many things to admire as there are things to criticize. 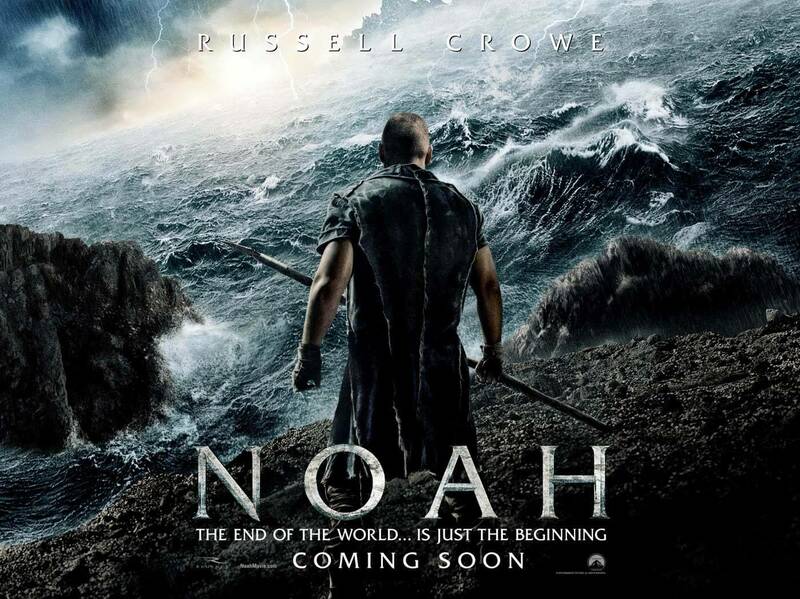 Much of the latter is during the film’s first half, which chronicles Noah’s early days to the moments before the rain starts to fall (shown in an impressive shot of a water droplet falling from the skies right onto Russell Crowe’s forehead). It is during this lengthy section of the film where the strangest moments in the film occur, and given the context of the original story in the first place that’s saying a lot. Among many of the decisions that Aronofsky had made to tell Noah on the big screen, including the semi-importance of the skin of the snake from the Garden of Eden to hermit Anthony Hopkins risking everything for the sake of his obsession with berries, perhaps the most WTF out of all of them is the inclusion of rock monsters. Yes, you read that correctly – an entire army of Rock Biters straight out of The NeverEnding Story ally themselves with Crowe’s Noah and his family to help them build the famous Ark. Perhaps we missed that part of the story when we were in Sunday School, but even if we didn’t the very idea of their being in this type of story is interestingly silly. To the film’s credit, however, they are given a decent backstory that makes enough sense to justify their existence – well, for the Bible anyway – and the Harryhausen-esque style of visual effects to create them is a very nice touch. But yeah, if you rolled your eyes when you read that rock monsters were in the story of Noah then this isn’t your type of flick. The rest of the first half is standard, with a few minor niggles here and there – the boyish lusts of younger son Ham (Logan Lerman) earn him less than likable points for being a whiny and entitled moody teenager; and some of the odder transitions such as the “fade-out-then-smash-cut-back-in” motif is overused to a point where it becomes distractingly in-your-face – and an overall decent little epic fantasy. It’s ironic, then, that when the rain actually starts to come and wipe away all the filth in the world is also when the film is cleansed and able to start again as something much stronger. After a fascinating action sequence which gets rid of the rock monsters as well as the rest of the world, we are left solely on the Ark as we watch Noah struggle to keep his sanity despite his internal guilt and lack of remorse for everyone outside. An earlier trip to the carnivorous camps of men as led by Ray Winstone (strangely lacking his trademark Cockney accent yet still coming off as the gangster-type we all know him for) has left him traumatised enough to declare that men shall become extinct when his youngest son dies, and when later consequences involving adopted daughter Ila (Emma Watson) come to light then it becomes a descent into darkness as the balance between faithfulness and selfishness is continuously threatened. As you may already tell, the drama and conflicts faced in this second half are by far and away the strongest part of the film. It raises interesting and complex questions about where our own loyalties lie and whose side is truly the right one to be on. It’s here where Aronofsky makes the boldest and most thoughtful choices, ones which its actors – particularly Crowe and Jennifer Connelly as his wife – portray beautifully on-screen. 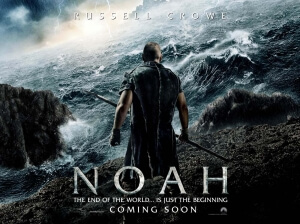 In all honesty, we would have preferred if the entirety of Noah was just an extended version of this second half – it’s by far the more interesting, dramatically engaging, better-acted and overall stronger part of the entire film. And it didn’t need rock monsters to make it work, either. Noah takes a while to find its footing, especially with stranger elements preventing it from soaring as high as it wishes to be, but when it does then it’s gripping, intense and extremely engaging cinema that doesn’t completely shy away from the darker side of the age-old story of a man and some animals on a boat.